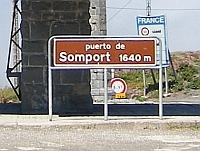 The E-7, a main European highway links France and Spain via the Tunnel du Somport between Pau and Oloron-Sainte-Marie in France and Jaca in Spain. The tunnel is open year round – important because the neighbouring Col du Pourtalet is shut from October to May each year due to snow. The tunnel itself is not what concerns us. A few miles south of Urdos in France, the old pass road, originally used in Roman times, turns off and takes you up the col and rejoins the main road at Canfranc Estacion on the Spanish side. The Spanish side is much better surfaced but the road on the French side is equally interesting. 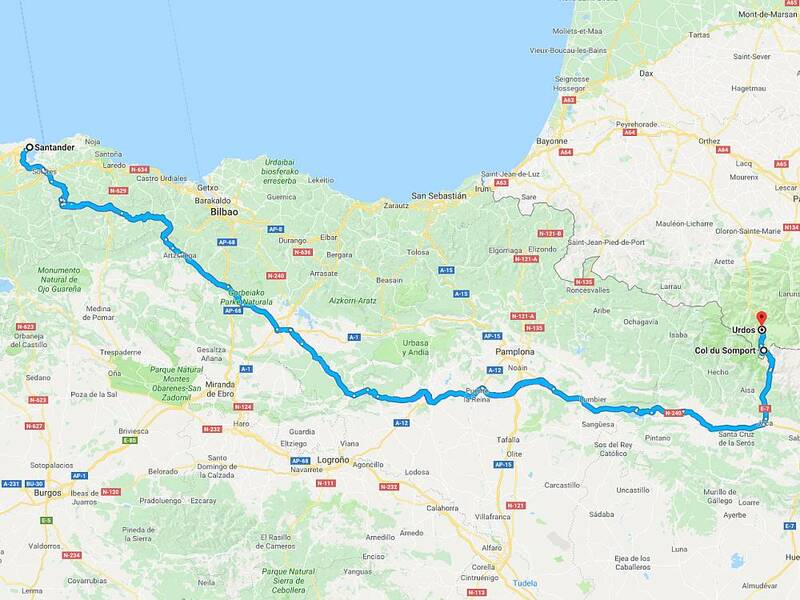 The roads up to the start of the col on both sides of the border from Jaca and Oloron-Sainte-Marie respectively are both excellent biking roads. On the Spanish side at Canfranc Estacion you cannot help but notice the massive station and equally massive hotel built for the opening of the cross Pyrenees rail line in 1928. The line shut in 1970 after an accident but there is talk of reopening the line, and with it the station and hotel. The station was used as a set during the filming of Doctor Zhivago in 1965.